≈ Comments Off on Pot Luck! 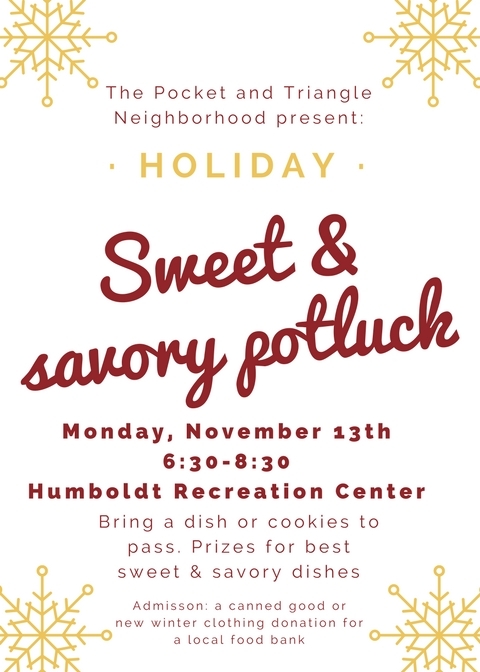 Join the Pocket Neighbors at the Humboldt Recreation Center on Monday, November 13th for a Sweet and Savory potluck dinner between 6:30 and 8:30. Bring a canned good or new winter clothing donation as the price of admission. Bring a dish to pass or a batch of cookies. Save the Date: November 13th.